Making home improvement, such as installing a shed, fence or roofing? Did you know that you will need to fill out a form and get an approval prior to starting your home improvement. Please contact your Community Manager at manager@creekwoodhoa.com for more information. 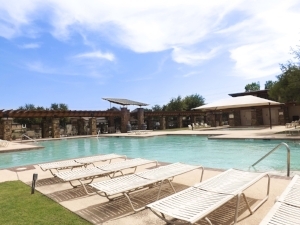 The Creekwood HOA utilizes a Bluetooth system to access the amenity center and pool. Please complete the steps listed below to obtain access. 1. Visit the Google Play Store or ITunes App Store on your smart phone. 2. Search for "VIZpin Smart"
3. Select and download the VIZpin Smart app. 4. Once the app has downloaded, open the app to follow the final stages of set-up. Once you complete all the steps above, we will use your registration form to attached you to the Creekwood HOA Pool. Initial set-up once all the above steps have been completed will take approximately 24-48 hours. Once this is completed when you reopen the app you will see "Creekwood HOA Pool" attached as your location. You are now fully registered and able to being using the app for access to the pool. However, please be aware you will not be able to access the pool during operational hours/dates. Looking for a place to have your child’s birthday party? Why not at your community pool? The Creekwood HOA allows for homeowners to complete a reservation form to have parties and/or bring more than 4 non-resident guest with them to the pool. complete the reservation form and submit to FWReservation@fsresidential.com. As a reminder, reservations should be made 2 weeks prior to the date in which your reservation is needed. Click here to download a searchable copy of your governing documents. You will find fee schedules, compliance items, and much more in this one easy to find location.